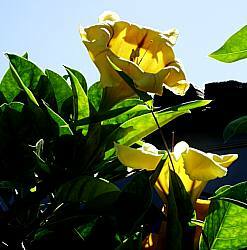 Solandra maxima, also known as Cup of Gold Vine, Golden Chalice Vine, or Hawaiian Lily, is a beautiful and vigorous vine which is endemic to Mexico and Central America. It has huge yellow flowers and glossy leaves and can spread to 40 feet in several years. 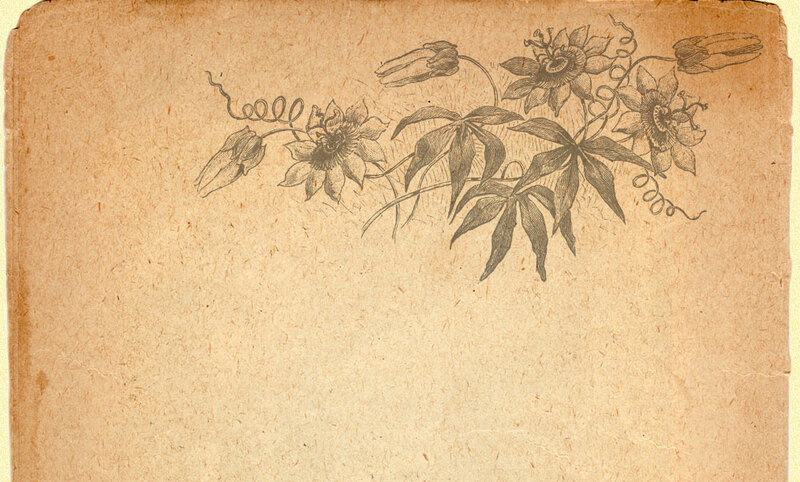 The flowers are 6-8 inches wide forming a flaring golden trumpet-shaped flower with brown stripes on the inside of the petals. The peak bloom period is in spring in California though it can bloom as early as January in Santa Barbara and can often be found with flowers into June or July. Flowers age darker and are fragrant, particularly in the evening, with a banana or vanilla aroma. It tolerates seaside conditions, even direct salt spray. This plant appreciates full sun and generous water. It is hardy to around 28° F for brief periods of time. In cooler areas provide overhead protection. Plants sold in quart containers.